The Vancouver Condo Buzz » BEAUTIFUL HOMES at West 10th & Maple Vancouver Westside Condo Project with Custom Homes Available! BEAUTIFUL HOMES at West 10th & Maple Vancouver Westside Condo Project with Custom Homes Available! PREVIEWS ON NOW! A home of quality in an established neighbourhood you love! Introducing a Pinnacle Project at the West 10th Vancouver West Side condos. Luxury living and spacious Westside Vancouver residences are now previewing with an amazing trio of features including: location, value and quality. The custom units of up to 1,600 square feet plus townhouses at the Westside Vancouver West 10th & Maple condos at Arbutus Street will feature freehold, concrete construction. Inside, home owners can enjoy over height 9 foot ceilings as well as air conditioning. Other high-end features at the West 10th Vancouver condos at Maple and Arbutus includes premium Scavolini Italian kitchens with Bosch appliances. The on-site amenities include a fitness centre, clubhouse lounge, garden and outdoor living space for all to enjoy. 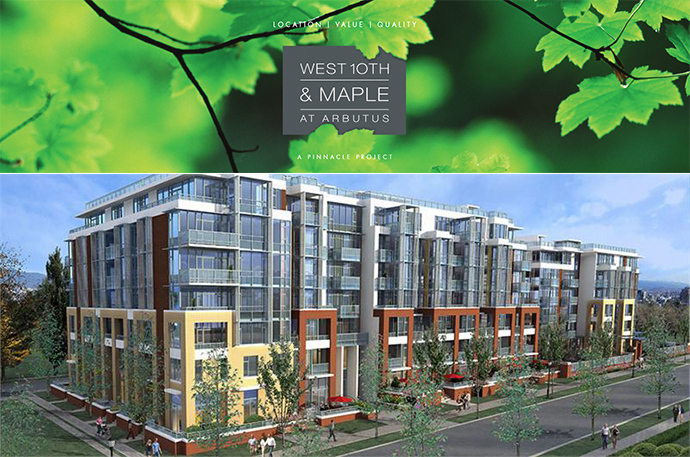 The West 10th & Maple Vancouver Arbutus condos are proudly developed by Pinnacle International developers. The presentation centre is now allowing previews and is located at 2030 West Broadway Vancouver. They are open daily from noon to 5pm on Fridays by appointment only. For more information about the West Side Vancouver West 10th & Maple Condos, please refer to their marketing web site at www.west10th.ca today. Drawing inspiration from the lush green parks and tree-lined streets of Vancouver’s westside, the boutique collection of luxury condominiums at West 10th offer space, privacy and freedom for homeowners with high standards and discerning tastes. The contemporary architecture adds a timeless appeal, expansive windows optimize natural light, and energy efficiencies enhance liveability. What makes this landmark development at West 10th & Maple Vancouver condos truly unique is the ability to combine units and create a larger, customized floorplan that meets your needs. The building amenities include a wide array of both indoor and outdoor spaces for home owners to enjoy year round. Here at West 10th & Maple Vancouver Westside homes, you can enjoy a social clubhouse style lounge with television area in addition to a fully equipped kitchen with fridge, dishwasher and microwave when you entertain friends and family. There is also a large fitness gym with cardio equipment and free weights in addition to a children’s play area and pool table. The Westside Vancouver condos will also feature a private boardroom for business calls and meetings on-site and the project also features a landscaped garden, outdoor green space and big pond. West 10th Vancouver boutique condos features upscale residences that are customizable in size, a truly unique feature that is only available here. There are 145 one, two and three bedroom plus den floor plans for presale home buyers to choose from and the building will be of solid concrete construction with a grand lobby, passive solar protection and energy efficient low-E windows throughout. The Westside Vancouver West 10th condos will also be built to LEED Silver standards and will have secured underground parking with residential storage lockers and bike lockers available. All homes and homebuyers are protected by the comprehensive New Home Buyers’ Warranty for your peace of mind. The richly pointed signature interiors will feature air conditioning and your choice between 2 colour schemes. There is engineered hardwood floors in the main living spaces as well as carpeted bedrooms and an in suite laundry. There are wood baseboard mouldings and custom stained wood suite entry door. The West 10th & Maple Vancouver Westside condos will feature sleek contemporary Italian kitchens by high-end design Scavolini. The luxury appliances will include a Bosch fridge with bottom freezer, four burner cooktop, built-in self-cleaning wall oven, microwave and dishwasher in addition to a Broan hood fan. 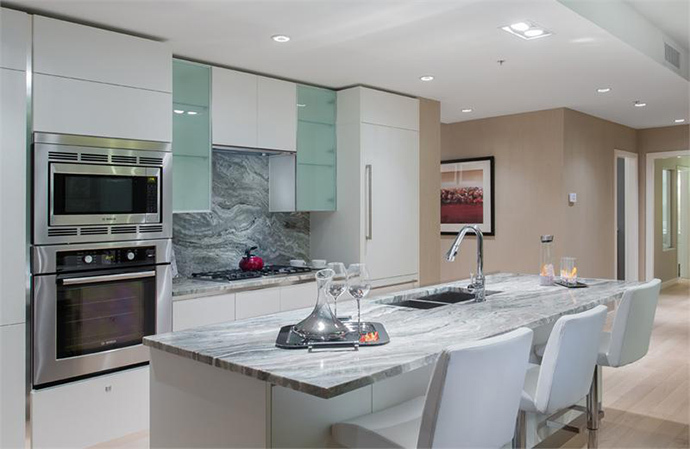 The homes at Westside Vancouver West 10th residences will also feature a wine cooler and polished Italian granite or quartz counters and backsplash. There is contemporary recessed pot lighting and American Standard single faucet with integrated pull out spray as well as a double stainless steel under mount sink. 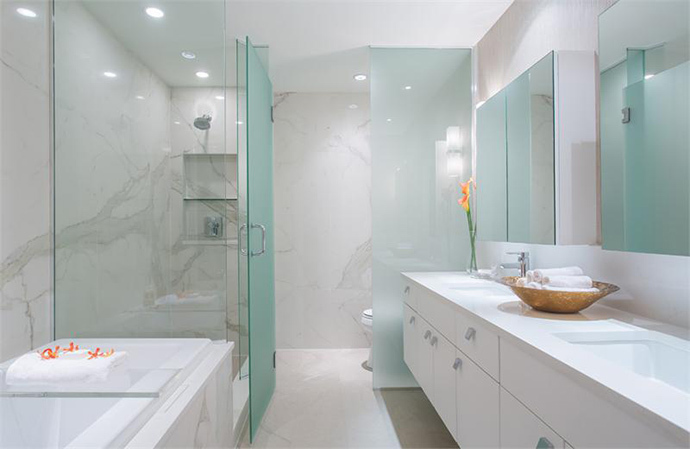 The beautiful bathrooms at the West 10th Vancouver Westside homes feature a glass walk in shower with porcelain tiled surround, Kohler dual flush elongated toilet and deep soaker tub with tiled surround and accents as per plan. The other high end bathroom features include Italian polished quartz or marble counters, porcelain tiled floors, designer vanities and cabinets in addition to a custom designed vanity mirror. Located at West 10th Avenue and Maple Vancouver (at Arbutus Street) is a stunning collection of only 145 luxury residences ranging from 1 to 3 bedrooms. Engineered hardwood floors, gourmet kitchens with high-end appliances and air conditioning are just the start of this exciting new offering by Pinnacle Living Vancouver. The West 10th Vancouver condos are within close proximity and walking distance to Granville Island, the beautiful west side beaches and diverse boutiques and eateries along vibrant West 4th Avenue. As well, there are transit routes nearby and biking access to downtown entertainment options. Imagine living within walking distance of some of the city’s most popular restaurants, Kitsilano beach, the False Creek seawall and Granville Island, as well as the abundance of trendy boutiques and eateries along West 4th and the upscale South Granville shops. Being just minutes from Yaletown hot spots and the downtown entertainment district is an added bonus. 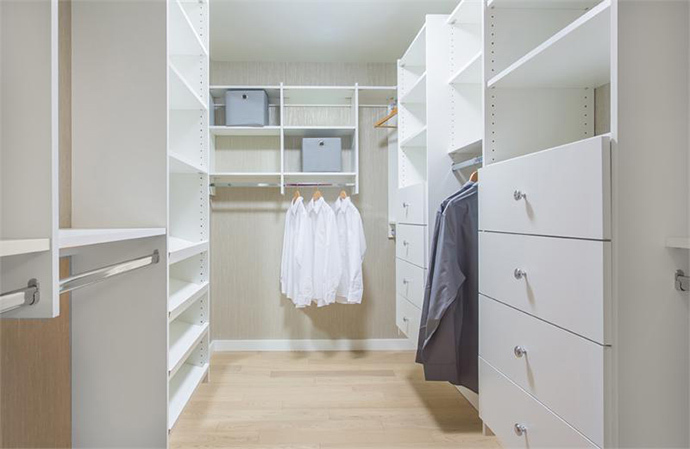 From a practical standpoint, living at West 10th Vancouver condos makes running errands quick and easy. With all the amenities on Broadway, everything you need is at your doorstep. Plus direct access to bike routes and public transit makes commuting to work easy. 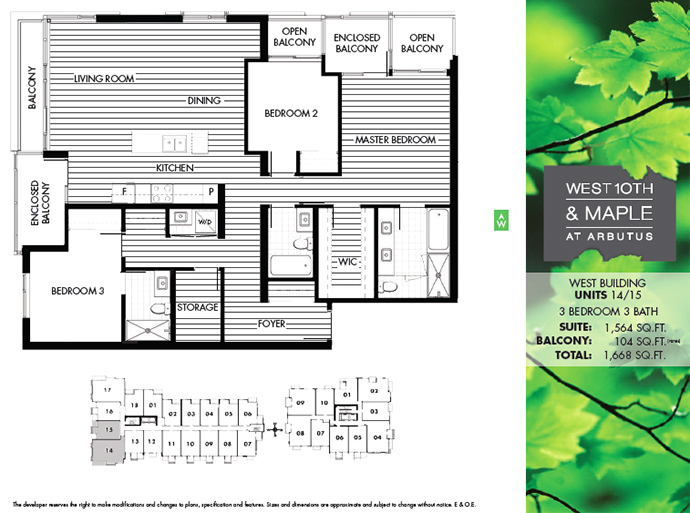 As a resident of West 10th & Maple Vancouver Westside condo homes, you will have access to an impressive array of amenities. The multi-purpose room features a game area, social lounge/TV area, and fully equipped kitchen. There’s an expansive fitness centre, private boardroom for business meetings, plus a beautifully landscaped garden and outdoor living space with seating and a children’s play area. Every detail is designed to enhance value and pride of ownership. The inviting designer lobby and upscale corridors give an impression of quality. Secure underground parking is accessed via a private laneway.